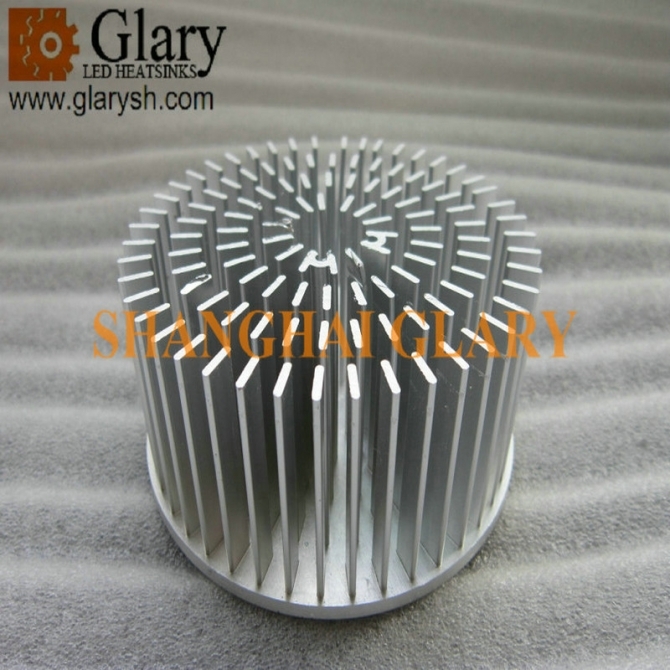 GLARY has an extensive range of options to provide the optimal cooling solution for your LED application. Our precision extrusion process provides unique advantages for LED cooling. 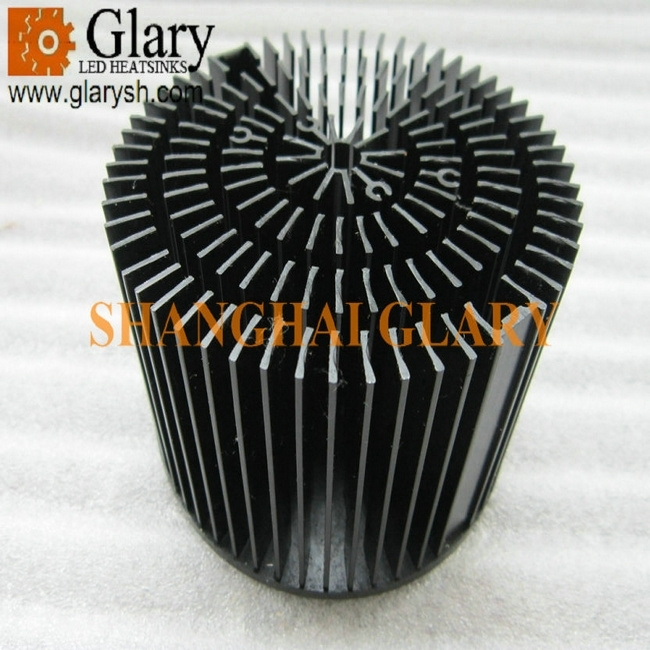 Extrusion can produce round, planar and other shapes that are preferred for LED applications. 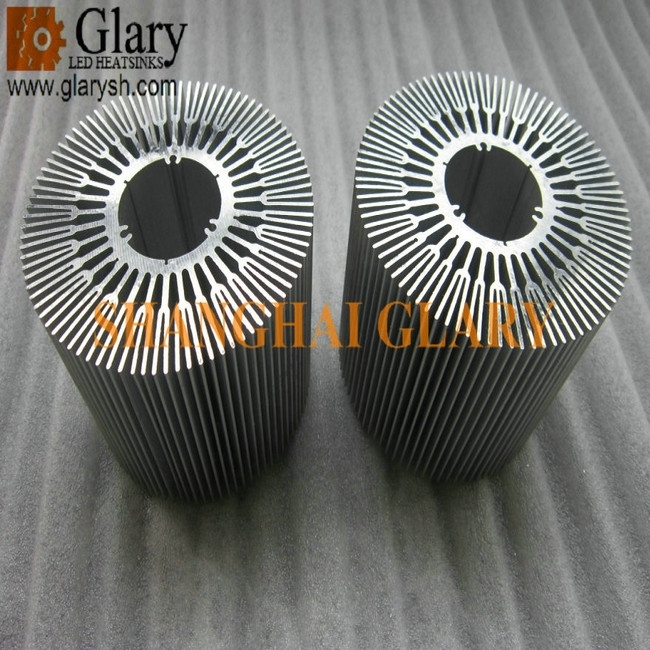 The extrusion process used aluminum 6063-t5 material. It can be made different kinds of secondary processes, like precise cutting, CNC machined, CNC turning, Drilling, Tapping and so on. 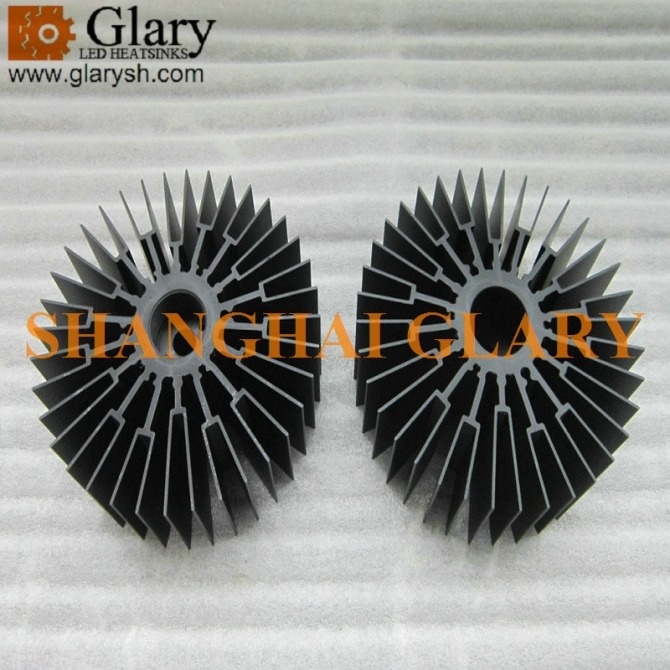 Heat sinks can be made anodized, sand blasting, powder coating, polishing, matte and so on. Diameters range from 10mm to 320mm. We can provide a solution from our standard product line and model it to ensure that it will provide adequate cooling for your application. 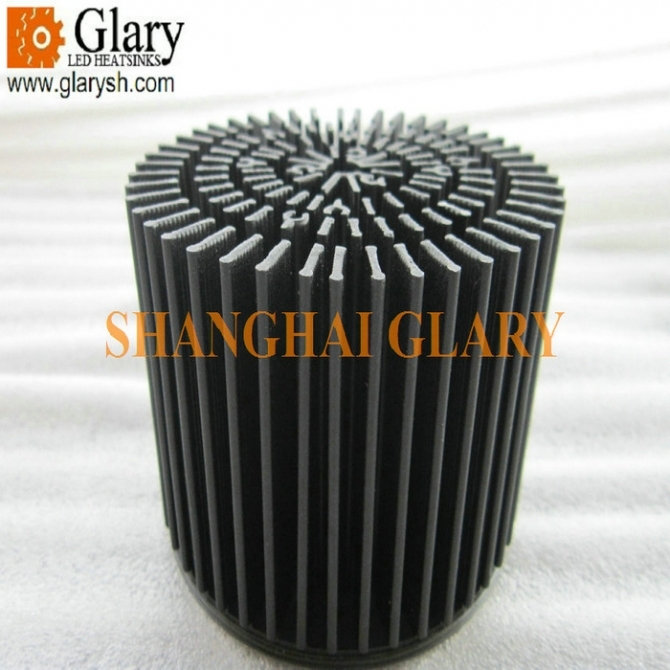 More than 2000 standard heat sink can be sent to you for your selecting. Our engineers can also work with you to design and model a custom solution optimized to meet the needs of your application. 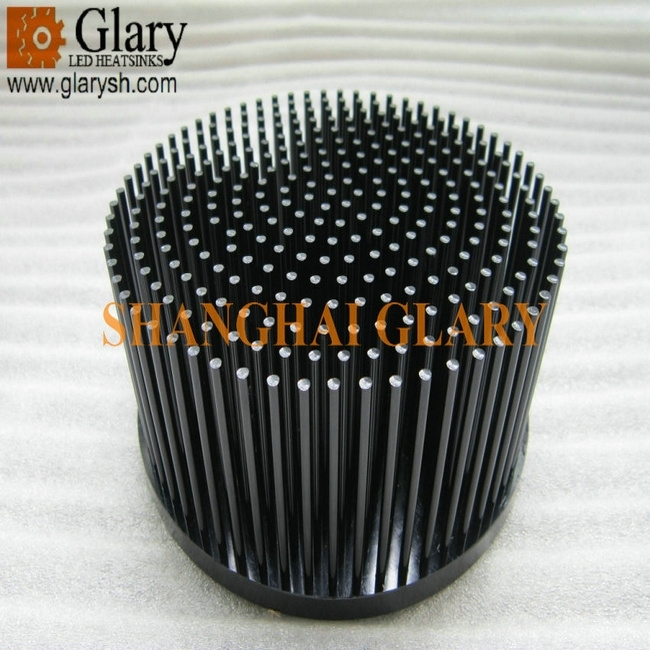 Please kindly contact Shanghai Glary if you want to get the drawing for this item or more details. 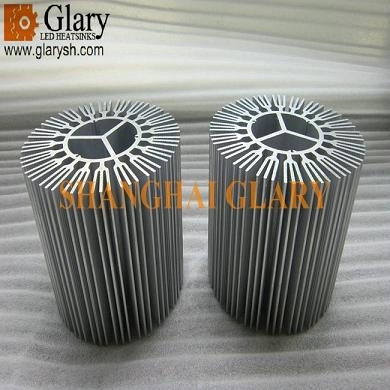 GLARY can also provide you the forging heat sink with aluminum 1070 pure aluminum material, you can contact us from the website or visit our company website. GLARY will happy to receive information from your side. 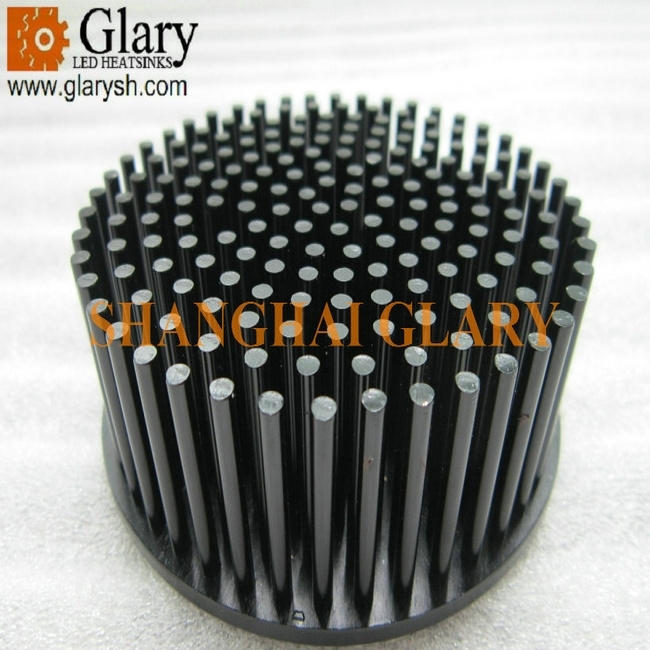 Note: Glary provides the original material as original design, it can be made machined, drilled, tapped and more secondary processes, the secondary process depends on your request, the machined picture is just for your reference, thank you.